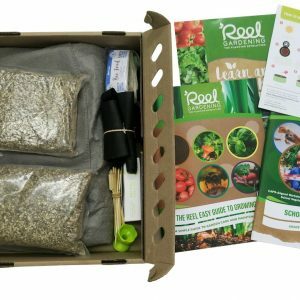 Reel Gardening Digital Training Programme which includes a Learn & Grow Kit to implement. 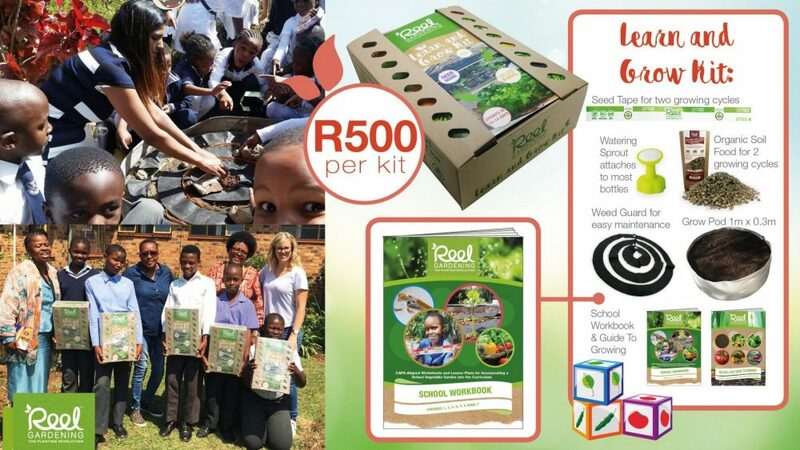 Reel Gardening is a South African Social Enterprise with a mission to encourage and enable as many people as possible to grow their own food. 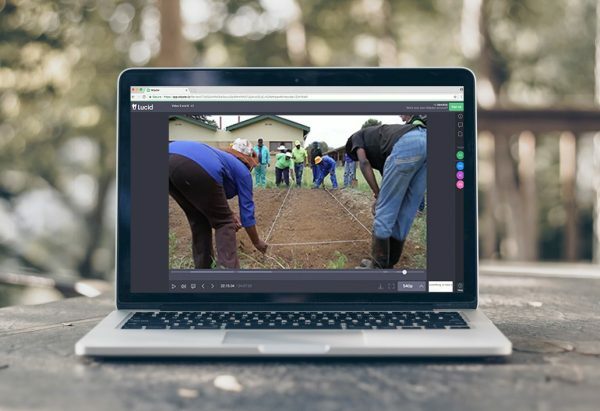 We have digitised our train the trainer programme to enable people to learn how to successfully teach others how to implement and care for a food garden at a school or community in need. 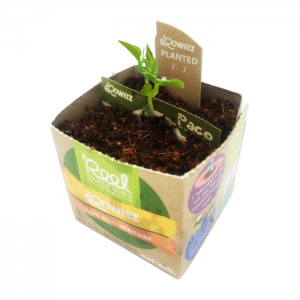 makes us aware of the benefits of eating fresh, seasonal, responsibly grown vegetables. 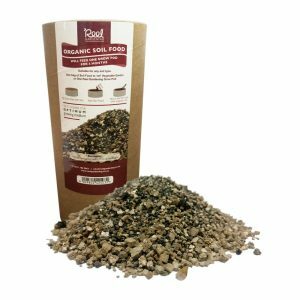 The numerous, wonderful benefits of caring for a garden, no matter what the size, should be available to everyone! 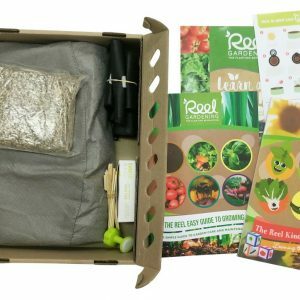 Reel Gardening has spent the past 8 years trying to make this vision a reality. We have worked through sponsors and partners and trainers to reach as many people as we can. However we can only reach as far as our network extends. Reel Gardening has partnered with Hours 2 Impact to make this happen. 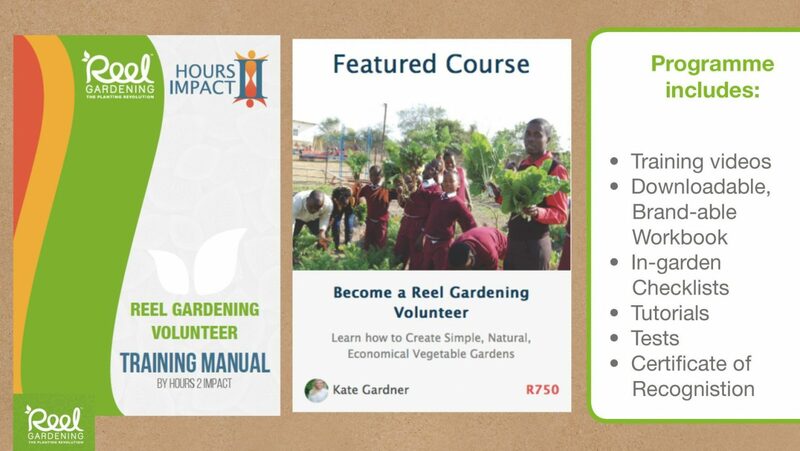 Hours 2 Impact is a Digital Volunteer Training Platform that helps non-profit organisations and social enterprises create online programmes to remotely upskill their volunteers so that they are of the greatest benefit. 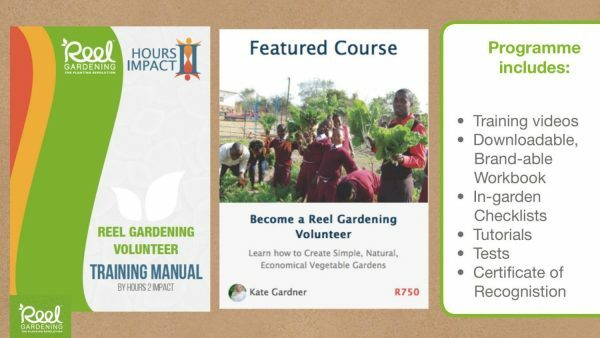 Reel Gardening has worked with Hours 2 Impact to create a programme that will equip you to adequately create large gardens and teach people how to look after those gardens in natural, economical ways.